We were previously known as the Helderberg Association for Persons with Disabilities. But then we realised that we saw things differently. We are a Voluntary Member Organisation and registered as a Non-Profit Organisation (NPO) in 2003. 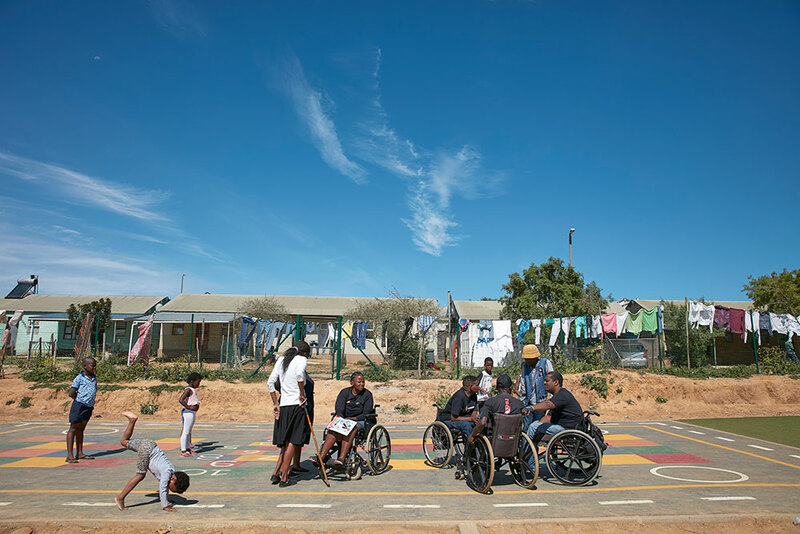 We helped establish the Stellenbosch Disability Network in 2014, and continue to lead it. But it’s all become so much bigger than that. With the right people in our corner, we know we can accomplish anything. Our peer supporters have been crucial to our success. 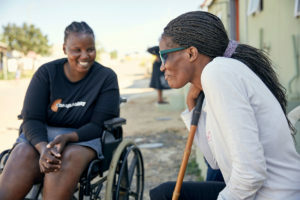 Because they live with disabilities and in the communities we interact with, they are the backbone of what we do. We’ve shared skills and received so much more in return. Through our peer supporters, we’ve gathered important information and insights that have helped us to do more meaningful and relevant work. We’ve built up a strong network and cemented important partnerships. We want everyone to see ability in others, and recognise the potential in themselves. We want to reach out to communities, and act as a catalyst for real change. We know that if we don’t break through constructs and tell it like it is, nobody else will. We’re pioneers. We’re big-picture thinkers. We do everything with bravery and utter conviction. Our team is made up of people with varied experiences and backgrounds. We also employ people from the communities we serve. We are constantly learning from one another and the people with whom we partner. We grow and share our knowledge base by developing skills and raising awareness. By thinking creatively and optimistically, we believe we can make a unique contribution. recognise that it’s important to continuously work on ourselves as well.